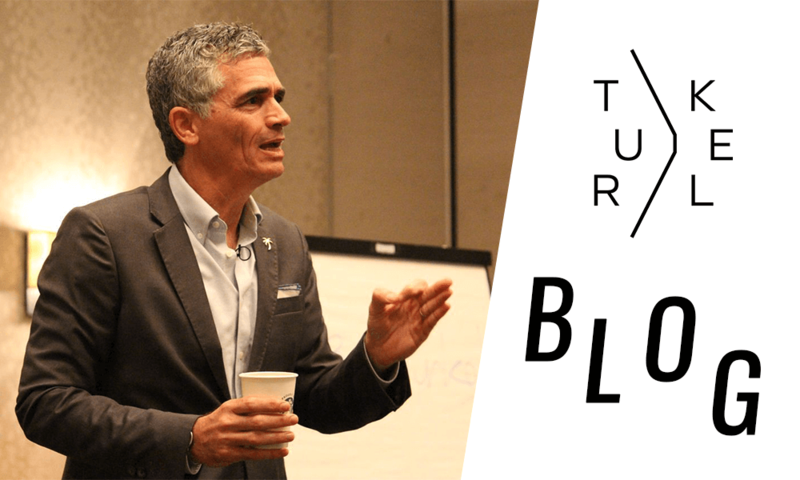 Road warrior and brand expert Bruce Turkel travels as a competitive sport. The CEO and executive creative director of marketing consulting firm Turkel Brands travels lightest. I travel almost every week, but in fact I’m not traveling this week and it’s kind of shocking. Last week I was in New York for client meetings and to do a Fox Business correspondent gig in the studio instead of remotely. The week before I was in Massachusetts because my daughter is entering her third year of college. Next week I’m in Las Vegas speaking at a brand management camp. But this week I’m in Miami the whole week. Figuring out how to hack my travel with tips and techniques has become more than a hobby, it’s almost an obsession. In our wedding vows I added to the traditional “better or worse, sickness or health, richer or poorer, only carry-on luggage.” I didn’t really—but I threatened to. I was on a flight once and the woman in front of me kept slamming herself against the seat to get it to go back. The reason the seat wouldn’t go back is because my knees were there. I didn’t have any legroom. She finally called the flight attendant and said, “My seat won’t go back.” And I said, “The reason your seat won’t go back is because my legs are there.” The flight attendant said to me, “Sir, you have to move so she can put her seat back.” And I said, “OK, where would you like me to put my legs? We can consider the overhead compartment. Other than that I don’t really know where they’re going to go.” I promptly bought a knee defender. That was years ago, but I’ve never had the nerve to use it. I take it only for emotional support. If you lean forward and say, “Look I’m almost 6’5”. Would you mind not leaning back quite so far?” Most people are pretty nice about it. I’ll offer to buy them a drink. But sometimes—especially on European airlines—when the people lean back, I could do dental work on them. I don’t put my seat back more than just a little inch, just to take the angle off, unless I turn around and there’s a sleeping child curled up in the seat, because I know how aggravating that can be. I only wear three colors: gray, blue, and black. That way everything I take matches everything else. I always take knit silk ties and pocket squares with me, too. If you change your ties and the tone of your pocket square, it looks like you’re wearing a different outfit every day. That’s all anyone notices if you’re well dressed anyways. I play the harmonica, so I also take a few harmonicas when I travel. I have found people to play with on the subways of Paris, on the streets on London, and in small towns in Provence. It always gets me invited to places and dinners. It’s great. Now if I played the cello, admittedly, it wouldn’t be quite as easy. But with the harmonica it’s quite easy. “They love me at TSA when I get the random open bag inspection. My travel hero is Jack Reacher, a fictional detective in a series of 18 books by author Lee Child. He travels with just an ATM card and a folding toothbrush. When his clothes get dirty he throws them away and he buys new ones. I dig his travel routine. That’s my dream. But I would add a harmonica. I have a collapsible down jacket that folds up into its own pocket. It’s essentially—when you smash it all down—the size of two pairs of socks. I take that no matter where I go because even if you’re going somewhere warm the airport is going to be freezing or the plane is going to be freezing. Even though I insist on traveling as light as possible, I even carry a down jacket if I’m going to the Caribbean or to Ibiza. It’s still jammed into my bag. I always take button-down shirts because you can always wear them with a suit or you can wear them un-tucked with shorts. You can’t really do that with any other kind of shirt. I am fastidious about packing. I use those little packing cubes and I organize everything. They love me at TSA when I get the random open bag inspection. They open it up and say, “Oh my god. I wish everybody packed like this.” Everything’s in a little pouch. Everything’s all nice and folded—all my cords and my cables. I’m a little psycho, as I said. But I’m OK with that! I accept myself for who I am. Travel is just so easy for me because I know exactly what I’m going to take at all times. One of the things we’re responsible for is marketing Miami tourism. So all my suits have these little palm tree pins on them—every single one—so I’m never out of uniform. But I’ve noticed that TSA guys or hotel clerks, they always say, “Oh, I like your pin!” At which point I reach into my lapel, unhook it and give it to them. They love them. And I always get an upgrade. With hotels I get a nicer room or with rental cars I get a nicer car. Who knows what—you get something. I really like Nooly, which is a weather app. It’s really cool because it tells you the weather in 5-minute increments. If I’m going for a run, for example, I don’t care what the weather is for the next eight hours. I care what the weather is now for the next 45 minutes. And it tells you. WeatherBug has a really cool feature called Spark that tells you if there’s lightning anywhere nearby. The app that I love more than any other app—I use it for travel, but it can be used for everything else—is Evernote combined with a system that I’ve learned online called thesecretweapon.org, a series of 11 videos that show how to combine David Allen’s “Getting Things Done” (GTD) with Evernote as a master “to do” list to manage your inbox and your assignments and your travel and everything else. It is phenomenal. It runs my whole life. It’s a real pain in the neck at first but if you fight your way through it and get it set up, it becomes second nature. Like my email box, I have no emails in my email box. As I open one I transfer it to Evernote and tag it. My dad passed away a few years ago and I took his briefcase and had it refurbished. I only use that bag and my suitcase. That’s nice, that I always have his bag with me. It’s a Tumi leather briefcase of some sort. It’s old. Now they have their own custom zippers and everything. It doesn’t even have those. But I sent it back to Tumi and they redid it. In fact the woman called me and said, “You want to spend $300 to redo this bag? You can probably get a new one for a little more.” I said, “Nope, that’s the one I want.” So they fixed it up. They put it on a new handle and some new straps and cleaned it up and it’s great. I take a couple merino wool T-shirts because, believe it or not, they do not itch. They work in all temperatures and they don’t stink, so you can wear them more than once. We all like to wear cotton T-shirts but when you sweat in them they get heavy and wet—especially when you run—and you can’t dry them after washing, so you’ve got to find a replacement. Merino wool is unbelievable. At first I was completely skeptical. First of all, I live in Miami—I’m not from a wool-wearing state. I thought it would be itchy and uncomfortable and it’s not at all. You can wash it in the sink and it dries quickly. I always take two pairs of ExOfficio travel underwear and I wash them in the sink every night. They don’t absorb moisture because they’re made of synthetic materials. But here’s the trick: You wring them out as best as you can by hand, then you take a big bath towel and lay it out on the floor—or on the bed if you’re a germophobe—and then you lay the clothes on them and roll it up like a burrito. It’s a layer of clothing, a layer of towel, a layer of clothing, a layer of towel. Then you lay this big roll on the ground and you jump on it, which transfers a lot of the water that’s left from the fabric into the towel. Then you unroll it and you hang the stuff up. It works. My wife laughs at me. My friends laugh at me. You laugh at me. It’s ok. I get it. It’s stupid. Here you have a guy who runs a company who’s traveling around washing his underwear in the sink and then jumping on it. I get it. It’s funny. But you know what? I don’t care because I’m obsessed and it works.